For anyone looking to understand what Emotional Intelligence is, and how it can help us be more successful in work and life. 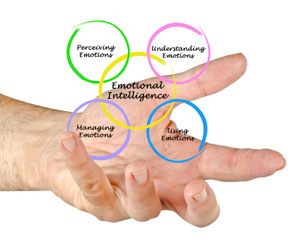 Exploring how Emotional Intelligence can support us to manage the inevitable challenges in work and life is key. Improving personal effectiveness and finding ‘me time’, where you can create those valuable moments of pause and reflection in order to regain emotional balance helps us to be more authentic and connect more meaningfully with others. The fact is you cannot eliminate stress or pressure from your life, but through raising emotional self-awareness we can boost our Resilience, and this a times can be the difference between success and failure. "Extremely good. Really evaluated myself. Really useful breathing techniques for balanceing emotions and realising we all bring emotions to work".